Registration for 2018-2019 School Year: We’re getting ready to prepare for the next school year already! New primary students must be five years old on or before December 31, 2018, and live within our school boundaries. Parents must provide a birth certificate, N.S. health card number, and proof of address (egs. utility bill, lease/rental agreement) when registering. Registration can be done at the school office Monday to Friday, 9:00 am to 3:30 pm. Contact Ms. Johnston or Ms. Landers (our admin assistants in the school office) or Mr. Cobean (our Guidance Counselor) at 457-7800 for more information or to make an appointment. Please pass the word around the community so everyone gets registered on time. Our staffing allotment for next year depends on the number of students registered. PLEASE NOTE: only students who live within the Park West School boundaries are eligible to attend this school. As our school and class sizes continue to grow we will be monitoring this situation VERY carefully. If any of our students are found to be living outside our boundaries it may be necessary for them to leave Park West and register at the school serving the neighbourhood in which they live. 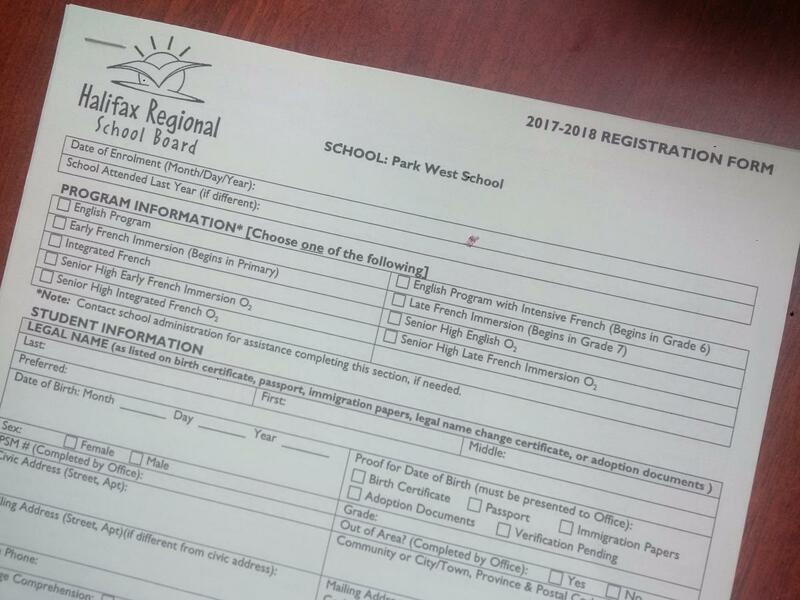 Parents may apply to have out-of-area students attend Park West by first registering at their neighbourhood school, obtaining an HRSB “Out-of-Area” form from that school, and submitting the completed form to Park West on or after April 1, 2018, at 8:00 am. Decisions regarding acceptance of out-of-area students at Park West for the 2018-2019 school year will not be made until the end of June.